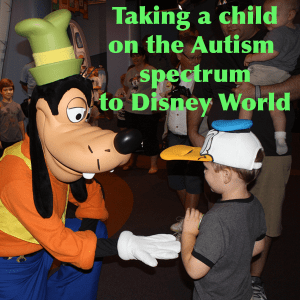 My husband and I love Walt Disney World, so when we found out that our son was on the autism spectrum (his official diagnosis is Asperger syndrome), we worried that we’d never be able to enjoy our favorite place as a family. After all, what could be more overwhelming to a child who hates noise, crowds, and unfamiliarity than Disney World? Thankfully, after two successful visits with our child with ASD (Autism Spectrum Disorder), I can confidently say that not only can you survive Walt Disney World with a child on the spectrum, but your child may end up loving the vacation just as much as the rest of the family does! There’s a saying that goes, “If you’ve met one child with autism, then you’ve met one child with autism.” Every child on the spectrum has different strengths, weaknesses, likes, and dislikes. 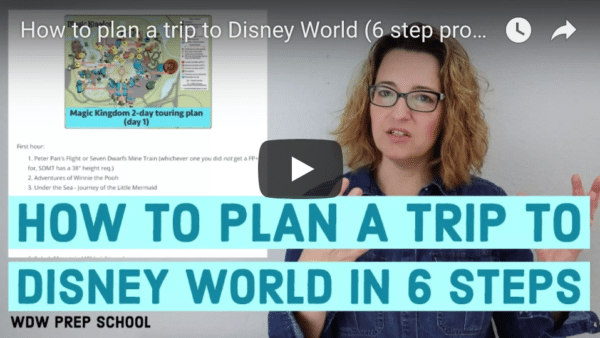 What worked for our family may not work perfectly for yours, but I want to share some of the tips I’ve put together for families with ASD planning a Walt Disney World vacation. First of all, do all you can to prepare your child so that he or she knows what to experience on your trip. One of the best resources is the free planning DVD that Walt Disney World offers each year. It gives an overview of each park and features several attractions and/or shows in each. It also talks about the resorts on property, the water parks, and many activities that are off the beaten path. My son not only loved watching this video (ok, we all did), but he loved repeating his favorite parts whenever we would talk about our upcoming vacation. Similarly, YouTube is your friend. There are videos of rides, shows, parades, fireworks… pretty much anything you can think of. In fact, one of my son’s favorite videos that we found featured the line in Test Track. So while we waited in line for Test Track, he felt incredibly comfortable and excited (more on lines later). There are so many resources out there to help get your children with (or without!) ASD prepped for Disney. My Disney Experience has maps of everything on Disney property. Many children with ASD are visual and concrete learners, so this is a great tool to help them. If your child has been before, or if someone he or she knows has been, show them pictures of the trip. Maybe your child (like mine) loves calendars. If so, make them a customized calendar with pictures of your plans for each day of your trip. If your child loves lists or charts, present your itinerary in those ways and let them tote it with them during the trip. Also, Shannon’s podcasts are awesome! We listen to them in the car, and my son, while not understanding all the logistics of planning a trip, enjoys hearing about his favorite rides and places. We did all we could to prepare our son for our trips and to let him know what he could expect each day. But you don’t want to get too specific for the simple reason that plans change. Our son knew which parks we were visiting each day, and a handful of attractions that he was especially excited about, but we didn’t tell him, “ok, today we’re going to start at Seven Dwarfs Mine Train and then ride Peter Pan and then…” for the sheer reason if something changed we didn’t want him to get upset. Instead, we told him that we were spending the day at Magic Kingdom and would get to ride Buzz Lightyear and it’s a small world and would get to eat lunch at the Beast’s castle. Since he had watched all of the other attractions on YouTube and the planning DVD, he was able to adapt when we would tell him after each ride what our next activity was. Another tip before you leave for your trip actually has nothing to do with your child and everything to do with you. Keep your expectations in check. This is especially hard for me, because my expectations are very high when it comes to a WDW vacation. I was concerned before my son’s first visit that he was going to melt down and have a horrible experience. A friend of mine said to me, “he may not love it the way you do, but that doesn’t mean he won’t love it on his own terms.” Those were wise words that I kept reminding myself of as we rode Buzz Lightyear for the 20th time in three days. We never even made it to Adventureland on that trip – I didn’t even get a Dole Whip! That was a tough pill for me to swallow, but my son was as happy as could be. I’m not saying that your child with ASD has to dictate your whole trip, but in many circumstances it makes for a more enjoyable vacation if you are able to accommodate them. In that vein, Disney World is not the place to push your child. Pick your battles and do all you can to avoid meltdowns. But at the same time, know ahead of time that meltdowns are probably going to occur at some point on your trip (again, this is for children with or without ASD!). On our last trip, my son decided he wasn’t going near Spaceship Earth, despite loving that ride before. I think he got it confused with Mission: Space, and my husband and I spent half our day at Epcot trying to convince him that he’d love Spaceship Earth. Long story short: he never stepped foot on the ride, and we wasted a ton of time focusing on this minor detail. We should have just let him know that the ride was an option if he changed his mind and moved on. It’s just a few days of their lives – living on crackers won’t kill them. Remember, you can bring unopened food and drink into the parks, so take advantage! Maybe your child isn’t a picky eater but wants to wear a specific hat each day or something. Repeat after me – anything goes at Disney World. When you’re at home, chances are you do many things all day long for your child with ASD. Take some time to consider how you can implement those routines on your vacation. For instance, do all you can to relatively stay on your child’s schedule. Yes, it physically pains me to go back to the resort for two hours each afternoon, but it’s worth it in the long run. My son benefits from occupational therapy, so we implement therapeutic exercises in the parks. He enjoys having his legs, arms, and back brushed with a sensory brush, so we do that several times a day. Loud noises upset him, so we brought noise canceling headphones in our bag. You can create social stories for your child regarding the many activities that take place, for instance going through security or ordering food. Again, providing your child with a visual itinerary can help them tremendously. These are just some of the techniques that we use for our son, but consider what works on a daily basis for your child at home and think of how you can modify those practices to be used at Disney World. Many children with ASD have very specific interests. Disney World is so much more than meeting princesses and Mickey – there is truly something for everyone. Maybe your child loves history. He’ll love World Showcase and the Hall of Presidents. If your child loves science, have a ball at Innoventions and Tomorrowland. If your child loves animals, you may want to plan more than one day at Animal Kingdom. My son can’t get enough of outer space – did I mention we rode Buzz Lightyear 20 times during his first visit? Additionally, Disney World has services in the park available for special needs individuals. I called and spoke with a Cast Member to get the details. She explained that Disney World provides a Disability Access Service card to guests with special needs. 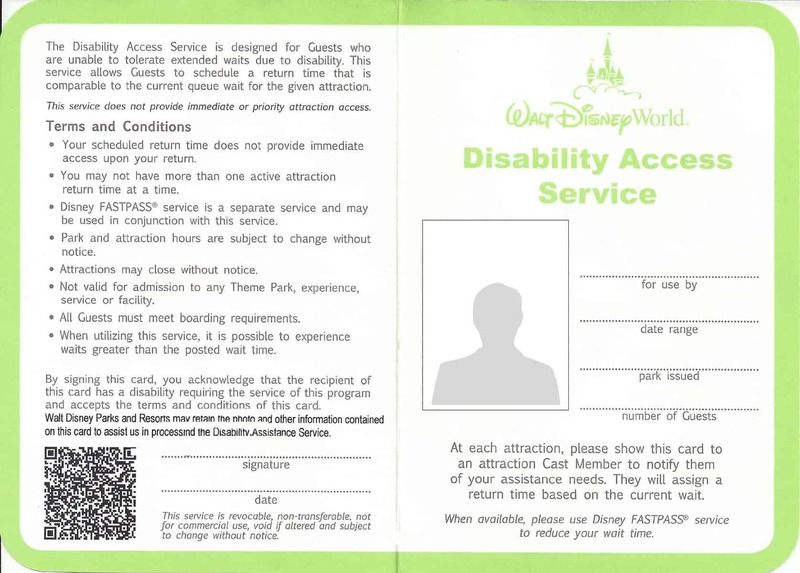 You can get this card at guest services at each park, and she said that it is not necessary to provide documentation if your disability is invisible, like ASD. This card allows you to schedule a return time for a ride without waiting in line. So, if the line is 30 minutes long, the CM will note your card, and you’ll return in 30 minutes without having to wait in line. I can’t speak to this practice firsthand, because we didn’t feel the need to do this with our son, but if your child with ASD has a hard time waiting or standing still, this is a great option. Even if you don’t get a card, don’t hesitate to ask a CM for help if your child is having an issue in the parks. They are trained and experienced to help, and in my experience have always been very accommodating. In fact, some of the most magical moments of our trips have been when CMs and characters have gone the extra mile to put a smile on my son’s face. I really feel strongly that a Disney World vacation can be a great experience for a child with ASD with just a little extra planning. Don’t forget to think of your child’s strengths and how they’ll come in handy on your trip. My son has a crazy good memory and can remember minor details of his trips, so I have no doubt that we’ve created special memories that will last a lifetime. I can’t wait to take him back – and maybe this time he’ll ride Spaceship Earth. Hello. My 20 year old son has a brain injury from an accident a year and a half ago. I will get the Disability pass for him but I am very worried about the transportation from resorts to parks. Withstanding a shuttle packed in with people just isn’t going to work out. Any advice. We don’t want to rent a car if we don’t absolutely have too. 2 1/2 yr old was just diagnosed with ASD/Aspergers. He has many of the exact same sensitvities as your son and we have mostly the same concerns. We are planning a 3 day trip in September and are only doing MK for 2 days and Disney Springs for 1. Kind of a test run. I am definitely going to be getting noise canceling headphones and a disability access card. Hopefully all goes well! I have enjoyed your blog while planning our trip (in a week now!). And then I found this post and loved it. Thanks for the great tips. If another ASD & SPD family can be successful, I feel like we can be too! I have also read everyone’s post. Thanks of all the information listed. It truly helps me out……. Thank you for posting this! My 4 year old has ASD and we just spent the day at Magic kingdom. Bringing unopened good was a must! Also the disability pass is amazing. Best part is now it is linked to the MagicBand or the pass card. I went in March and now January after the Marathon. I really recommend off season travel to help if crowds are hard. Love the idea of “anything goes”. We took my LM to see his favorite character Pooh to start. While there was no fast pass they let one member of my party wait until it was time and let my son go up to get his photo. He had sensory overload by the experience and the CMs were all very patient and understanding until he was ready for his photo. Also the passenger swap was great. Many rides we got up to the ride and he decided he didn’t want to ride (he is non verbal and let’s us know in his own way if it is too much). So one person would ride and one would wait. Then we would switch. We are hoping to take a Disney cruise this summer with “autism on the sea”. The later is a group of trained personal that go on different cruises and allows ASD families a great experience for all. I hope to share how this experience goes. Thank you for writing this article. My son is on Autism Spectrum and I feel so much more comfortable now about planning our Disney vacation. I love this! my son does not have ASD but does have SPD and large crowds/noise/unfamiliar environments are fraught with sensory challenges for him. These tips will definitely come in handy when we visit next year! Thank you for this post! Taking my ASD rockstar to Walt Disney World for his 3rd birthday this October…I can’t wait!! -if it’s hot and you need a break and you aren’t staying on property, take a ride on the monorail anyway. you could just ride or get off at the Grand Floridian. They have seating areas on multiple floors of the open lobby, usually quiet & cool & sometimes they have live piano music. -I’m especially sensitive to my other daughter’s need to try new and more exciting rides, so we plan some rides together as a family (the usual “we have to do it together” rides like It’s a small world), and some in pairs. The funny thing was last year when we split up, we all ended up at the Haunted Mansion! A “new” ride for all of us! This post is fantastic! We took our ASD son last December and everything that I expected him to dislike he loved, and some things that I expected him to love he disliked…face characters! Who knew? We also rode Buzz Lightyear more times than I can count, and this mom had to “Let it Go” that she did not make it onto an Adventureland or Frontierland ride on the last trip. But honestly, we all loved it just the way it was and he asks at least weekly, “Are we going to Disney World today?” Looking forward to Disneyland in November, and hoping that he loves it just as much! My nephew is 8 yrs old and while he does not have Autism, he has anxiety, speech delay, not good with changes, outbursts at times. I feel this post is great not only for parents who have children with Autism but also any child who has behavioral type issues, sensory issues, etc. I feel it is so important to show the kids as much info & videos as you can before the trip so they are familiar with an unfamiliar place. I love this post! our trip is January 2015 with a total of 19 people my nephew included. He hates rides so we are unsure how he will do. We are just hoping for the best but I think he will have a lot of fun! Hi! Does anyone have tips for kids overwhelmed by characters? DD has sensory issues and Just. Couldn’t. Stand. characters during our 2013 visit. We made good progress until an unfortunate unexpected character at the museum a couple weeks ago. Afraid she will be terrified when we return in November 2014! Well, I would watch lots of YouTube videos with the characters. Also, your child might enjoy the face characters even if she doesn’t like the ones in full costume. Also, it might help that your trip is after Halloween because she’ll be used to seeing people dressed up after trick-or-treating. But honestly – don’t push it. I know what it feels like to want that magical moment with Mickey or Elsa and Anna, but if your child is freaked out, no one is going to enjoy it. Just count yourself lucky that you’ll have more time to ride rides! Good luck! Hi my son has autism he is now 7, 8 next month and we have just had our 3 rd trip to WDW with him and he loves it. He is a ride freak his favourite ride is rock n roller coaster. He loves meeting the characters and his favourite princess is Rapunzel. We found the DAS card great and used with the fast passes great too. My son also has ASD and Disney is such a special place for us. We live in San Diego, so we frequently visit Disneyland. When he was 18 months we were riding the Disneyland Railroad train and he smiled at me for the first time without me prompting him. He smiled, looked at the train and looked back at me with a big smile on his face. He shared a moment with me (joint attention)! For families who are impacted by ASD, you know what a joyous moment this is. We now go almost every weekend and have gone to Walt Disney World twice. We are scheduled to go again this October. I completely agree with everything in this post. I uber plan and prep with my son (including social stories for riding a plane and Magical Express- a lot of great videos on you tube). I also prep my son for staying at the resort with you tube videos showing the lobby, rooms, and pool area. Meltdowns will happen, but do not be intimidated. The happy moments will far outweigh the meltdowns. My only addition to the post would be to stay at a resort within WDW to minimize travel time between parks and your room. It helps to be able to leave the park and arrive at your resort by hopping onto a monorail, boat, or bus. Oh your story brought tears to my eyes because I know exactly what you mean! I didn’t think to include staying on property because it’s all we’ve ever done, but you’re absolutely right about that. How fun to go to Disneyland so often. I’ve never been – we are hoping to go in a few years!